“We all went to Paris. It was where we had to be,” said Gertrude Stein. Picasso was there. So were Stravinsky and Diaghilev. And Hemingway, Fitzgerald, Joyce, Gide, Mondrian, Braque, Ravel, Eliot, and countless other artistic luminaries and rising stars ... including the young Aaron Copland. 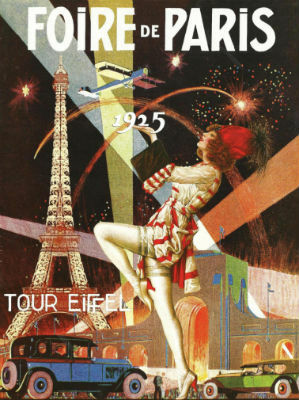 “The sheer glamour of the period exerts a magic spell,” he wrote. “The air was charged ... anything was possible ... tradition was nothing, innovation was everything.” The arts sizzled in 1920s Paris, which seemed like the center of the universe during Les Années Folles – “the crazy years.” Our magical, one-night-only culinary and musical gala recreates the intoxicating aura of that exhilarating era. Within the vivacious and welcoming embrace of Le Bernardin Privé, renowned Michelin three-star chef Eric Ripert will specially devise a four-course gastronomic journey that will be paired with a musical menu of scintillating works by Stravinsky, Ravel Copland, Fauré, Gershwin, and de Falla, “served” in live, delectable performances by our internationally-acclaimed Music from Copland House ensemble. Please join us at Le Bernardin Privé for a truly memorable evening of epicurean and sonic enchantments. 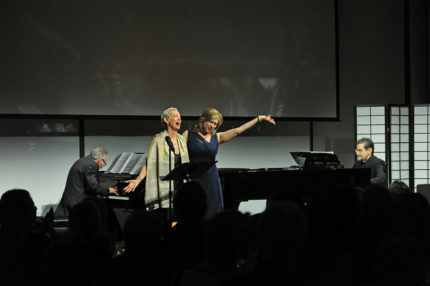 (l. to r.) Michael Boriskin, Jamie Bernstein, Amy Burton, and John Musto performing at Late Night with Leonard Bernstein, Copland House's 2017 gala at Lincoln Center's Kaplan Penthouse. Late Night with Leonard Bernstein, the 2017 gala. Online ticketing is closed. Please contact our offce at 914-788-4659 for more information. Dreaming on Lenox, Red Rooster, 2011: Chef Marcus Samuelsson plating. 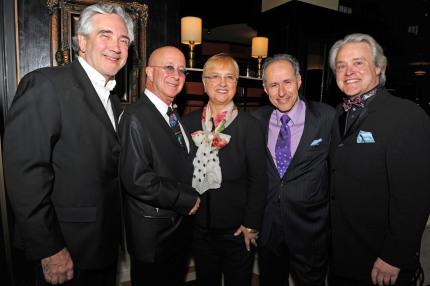 The Awakened Palate, Del Posto, 2014: (L to R) Copland House Treasurer Ezriel Kornel, Paul Shaffer, chef Lidia Bastianich, Copland House Artistic and Executive Director Michael Boriskin, and commissioned composer Daniel Brewbaker. New York at Night, The Four Seasons, 2009. 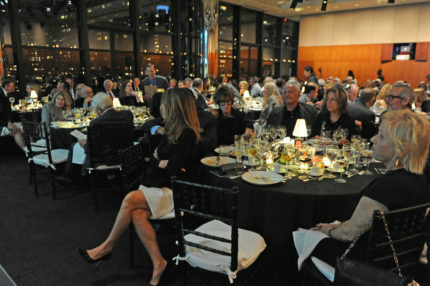 Paris After Dark, Le Bernardin, 2008: Gala underwriter Robert Morris, actress Mary Stuart Masterson. Troubadours' Feast, Restaurant Daniel, 2006: Chef Daniel Boulud, composer Richard Danielpour, Copland House Artistic and Executive Director Michael Boriskin. 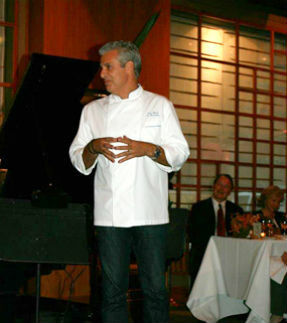 Paris After Dark, Le Bernardin, 2008: Chef Eric Ripert welcoming Gala guests.